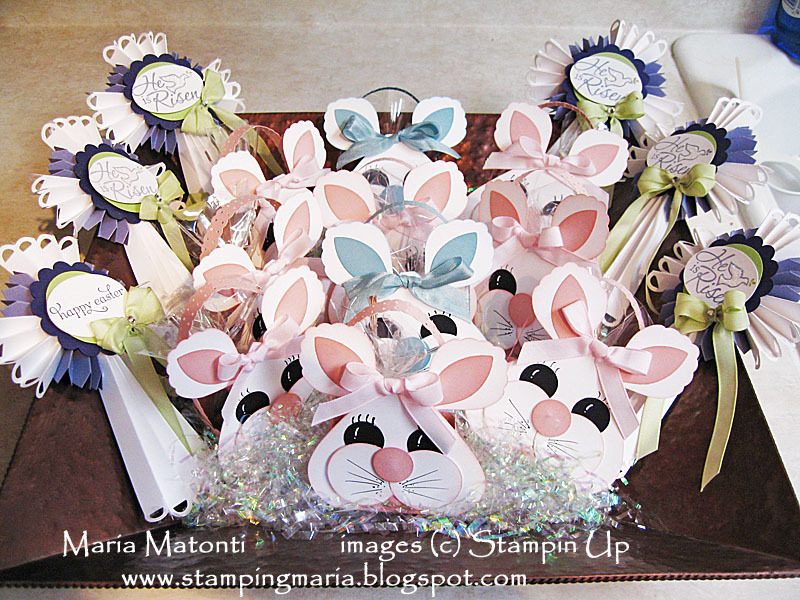 Maria's Stamping Station: Happy Easter! This is one of the baskets I made to take to our Easter dinner party. 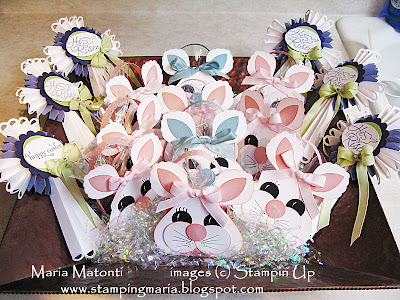 The other basket has the cute Everybunny Treat Holders that I showed a few weeks ago (I forgot to take a picture of it before I loaded it in the car). I hope you and yours are well and enjoying this weekend together! See you soon! Can only image how thrilled your Easter dinner guests were to receive one of your darling Bunny Baskets. Nice Job! I love, love, love the Easter crosses!!! How did you make them?